Imagine yourself as an entrepreneur with the need to effectively market a product. Now, imagine having the capacity to put your target market in a situation that greatly favours your pitch—an immersive and interactive environment, free of most external distractions. Think of how effective it would be, how it would allow you to better explain what you are selling and why your market needs it. 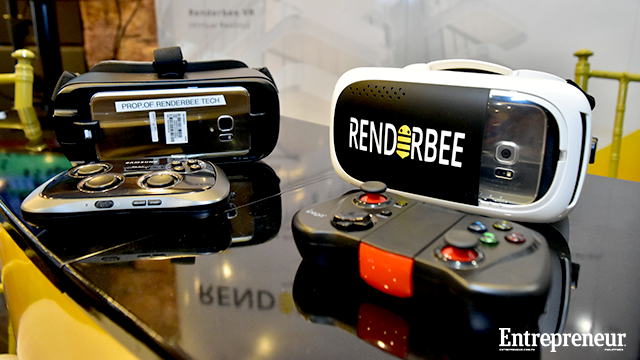 Should all go well for Renderbee Technology Inc., what you’ve imagined may become a reality. Known as the first and only Philippine mainstream service render provider, Renderbee is currently poised to generate a lot of buzz. It was launched in 2015 as a subsidiary of a Philippine IT conglomerate, Synergy 88, and since then, the company has been gaining a lot of attention from the real estate industry. Architectural virtualization, in other words—the new frontier marketing in Philippine real estate; currently, Renderbee is known for providing this. Through available technology, it utilizes architectural blueprints to fashion an interactive virtual environment that allows consumers an immersive view of proposed designs. At its current state, this is a novel service that puts the company at the forefront of its intended market. 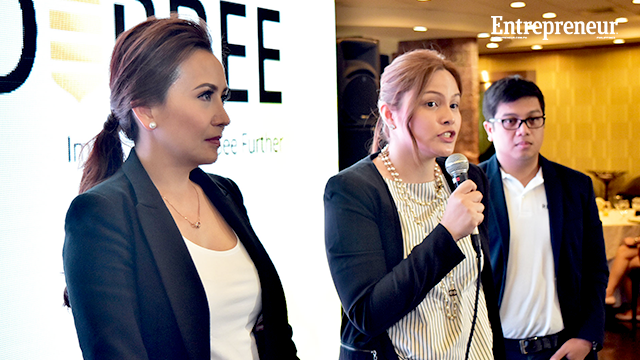 But according to Renderbee’s CEO, Maricar Burgos-Nepomuceno, the company is looking to do more. Nepomuceno said, however, that such an expansion would have to wait. Before anything else, she believes that they first need to improve the general public’s knowledge of who they are and what they can do. 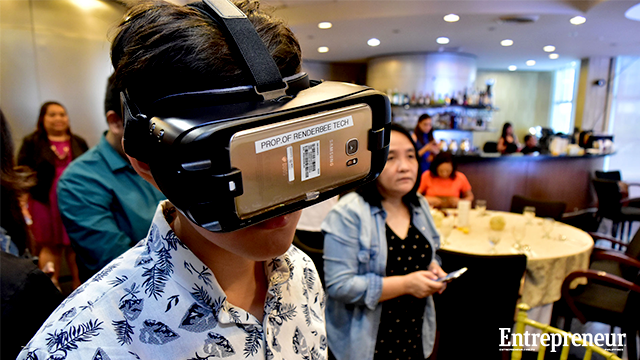 Ask a random person in the Philippines about virtual reality (VR) and chances are they will tell you the same thing: that it has something to do with video games. This, at least, was according to Nepomuceno who met with the press last September 20 at the RCBC Plaza to talk about the current services offered by Renderbee. Nevertheless, Renderbee has begun to make a name for itself outside the gaming sector. It has provided architectural perspectives and 3D animation walkthroughs for various parties. And these parties have glowing testimonials about the company. According to Nepomuceno, however, the group’s capacity to deliver such designs is but a single aspect of the company’s capacity. She stressed that it is also important for them to accomplish these projects at a fast rate. The company’s name, after all, is a portmanteau of “render” and “bee”—insects known for constructing their hives at commendable speed. 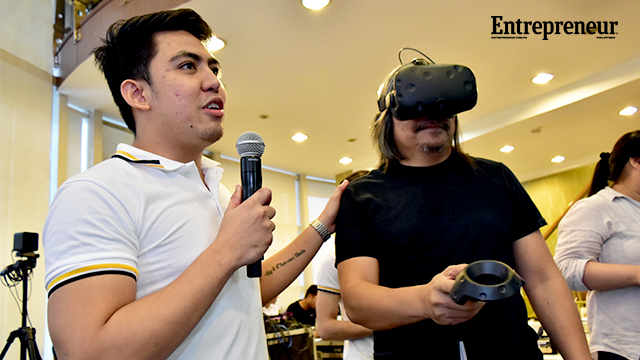 And Nepomuceno said that the company has taken significant steps to live up to that name starting with the development of its in-house render farm. “Our render farm is a cluster of servers assembled for the sole purpose of rendering 3D images, computer generated imagery and visual effects,” she said. “[It] is powered with 190 cores, running at more than 130 gigahertz of multiple servers, and each having a computing power of five i7 CPUs.” In layman’s terms, the company, through the farm, can render designs and blueprints at rates much faster than local standards. According to Nepomuceno, it isn’t the only advantage of Renderbee. As the first Filipino company of its kind, Nepomuceno stated that the company has the capacity to leverage a resource greatly untapped by the local market: the Filipino talent. With Renderbee, however, this no longer needs to be the case. The company is seeing a rise in the demand for its services. Therefore, it is looking to integrate more Filipino talent to its lean-yet-mean team of about 40. “Basically, that’s our main advantage here,” said Nepomuceno. “Here,” of course, refers to the company’s current position—its stance as a new firm eyeing to make its expansion goals a reality.